Hello, and welcome to the fourth installment in our weekend Geek Reads column! Last week we met the white hat hackers and law enforcement luminaries like Gail Thackeray, who proved the line between cybercops and the hackers they hunt is actually pretty thin. Nowadays anyone with an Internet connection and some free time can hack their phone, but twenty years ago the word "hack" was still a strange and terrifying thing.The Hacker Crackdown of 1990 was the downfall of the hacker elite, but it was also the rise of civil liberterianism in cyberspace. This week we close out our chatroom discussion of Sterling's opus with the trial of Knight Lightning and the advent of the Electronic Frontier Foundation. Join us, won't you? Alex: Welcome to our fourth and final discussion of The Hacker Crackdown! David: The one with the EFF! Alex: In which Bruce Sterling reveals that really, it's all about the politics. Alex: So who knew the EFF was so young? David: I actually assumed it was way younger when I first read this book; like I would have said mid to late nineties, but that's because that was when I first heard of them. Alex: I can't remember a time without them, but I guess that says more about my memory than their age; they have their roots in the NuPrometheus League of 1989. Nate: In summary: The Electronic Frontier Foundation (EFF) are the civil libertarians fighting for capital-F freedom in cyberspace, essentially extending the Constitution into the ether. Alex: Well, in a way....but the narrative gets muddy before the trial of Knight Lightning. Alex: I mean, the early electronic expressions of civil libertarianism essentially amount to righteous software piracy. Information should be free, power to the people and all that. Nate: I think Sterling makes it pretty clear that there are two schools of thought on that: long-haired liberalism, and the Mitch Kapor types... tech-savvy, inquisitive capitalists who aren't searching for a tech-utopia. They're just hunting for ways to keep information unrestricted. Not necessarily free. Just... defined? The Knight Lightning case is a great example. Alex: Right, one of the coolest parts of reading The Hacker Crackdown was understanding how close we came to a radically different Internet. David: I dunno about that. I mean, there's a certain inevitability to the proceedings; it's Mitch Kapour's thing about decentralized internet infrastructure as an organizing model for the 21st century. Alex: Sure, but if Kapor, Wozniak, Gilmore et al. hadn't acquitted themselves so well in the foundation of the EFF and in their advisement of the defense during the Knight Lightning trial/dog and pony show, I think we wouldn't have the freedom of expression we have today. David: I don't want to minimize their importance or efforts. Nate: Let's back up a second, as we've name-dropped Knight Lightning several times now. Alex: Sorry I couldn't resist, the Knight Lightning Trial just sounds so...cool. Nate: Craig Neidorf (aka Knight Lightning) was more of an e-publisher than a "hacker." One of the co-founders of Phrack magazine. 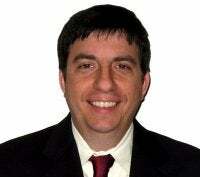 Craig Neidorf, the friendly face of hacker Knight Lightning. Alex: So for anyone who hasn't kept current, Knight Lightning is the hacker alias of one Craig Neidorf. Neidorf allegedly entered into a fraudulent scheme with the hacker known as Prophet, who, it will be recalled, was the Atlanta LoD member who had illicitly copied the E911 Document from the BellSouth AIMSX system. Nate: Of course the "fraudulent scheme" consisted of copying the 12-page document, editing it, and posting it in their magazine. Alex: Yeah, and it was only a federal case because the stolen goods were passed across state lines via modem. ...there are a lot of holes in the case, which is why I'm so glad the defense team did an excellent job picking it apart. David: Well I mean, back up; there's no legal standard for that where we are in history. Not to mention the problems with property law outside the physical realm. I do want to point out real quick that despite my heaping praise upon the luminaries of the EFF, Sterling makes it clear they weren't a "hacker defense fund." Nate: They rose to Knight Lightning's defense because this was less about punishing a crime, and more about teaching a powerful lesson. Because Phrack didn't publish a stolen document worth tens of thousands of dollars; they published stolen information. Nate: That's capital-I information. It was ultimately of little consequence. But had far reaching social implications. The phone company simply established it's terms. This document cost us $77,000 dollars. It could cause undue social unrest. And the courts swallowed it up, because there was no informed, neutral party to intercede (before the EFF). The reality was that there was some illicit copying going on. But nothing of value was taken (Well, $13 bucks I guess). This is the equivalent of someone running into PCWorld's offices and stealing a pamphlet on the proper care and maintenance of Content Management tool. Alex: Right, I'm starting to reconsider my earlier point; the EFF was critical, but Craig Neidorf really owes a debt of gratitude to the Chicago Task Force for choosing to make this trial a public spectacle. David: Well my argument about the EFF was more that, the way that Sterling describes it, it was really more filling a vacuum than creating online rights out of whole cloth. Nate: Exactly. Because these online rights still don't exist (see RIAA vs The World). Alex: So I suppose the Hacker Crackdown was more successful than law enforcement realized; not only did it alert citizens and companies to the dangers posed by hackers, but it alerted civil libertarians to potentially grievous breaches of personal liberties. David: That’s the way that online is different from the real world; in a physical world it makes sense to charge knight lightning the way they did. He was given an illegally obtained document and shared it widely with a criminal underground. Alex: Well, at least as far as publishing trade secrets goes. Alex: The absurd valuation of a $13 product manual at nearly $80k is another mistake entirely. Nate: These aren't trade secrets. You can (or could) quite literally buy much more comprehensive documentation for $13, my calling a phone number. Yes, it's a crime. But it isn't a 60 years in prison crime. Alex: David I think I agree, but can you elaborate? Nate: Unless you want it to be. Unless you have that power. David: Well it goes back to how it's ridiculous to us to consider copying that file on a modem to be equivalent to trafficking stolen goods across state lines. Those laws are based on physical limitations of moving stolen property that simply didn't apply to the case. Alex: So with the advent of the Internet, it's sort of ridiculous to segregate ideas by physical boundaries? David: especially today it is no harder to transmit information across state lines or internationally than it is to pass something to your roommate. Alex: It might actually be easier, since many people don't even bother owning printers anymore. At least, among my peer group. David: Yeah and nobody knows their home networking. Alex: Huh. So, what did we learn from Sterling's chronicle? Nate: I think the valuation of the document was the most important part. For the public eye, at least. Alex: Frankly, I lost steam about halfway through; the early roots of hacking are pretty engaging, but digging into the law enforcement and prosecution angle kinda killed it for me. Nate: Really? This was my favorite section. Nate: We ditched the rosy idealism, and the dated-underground. And got right down to the heart of the matter: The real "super-heroes" emerge. The teen hackers come off as immature goofs at best, malevolent criminals at worse. The police are still holier-than-thou, but their corporate masters are corrupt, vindictive. David: Gail Thackeray is awesome! That's my shorter version of Nate's statement. Nate: And then we have the Civil Libertarians [hate that phrase]; the folks at the EFF and their ilk who just "get it." They aren't out to trade free love or throw people in prison. They just want everyone to have their own "node," and publish, and share ideas. David: Yeah I think the smartest part of the fourth section when Sterling talks about how what Mitch Kapour wants is to make the world safe for future Mitch Kapours. David: It's egalitarian in a certain sense but it isn't the hippie anarchy of hacker manifestos that the EFF often gets accused of. Alex: You guys make good points, but I really just want to read about phone phreaking and blue boxes all day. Nate: Haha. 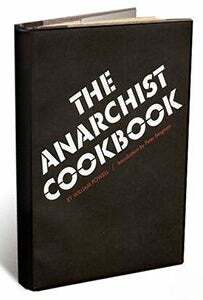 We'll have to find the Anarchist's Cookbook. I had copies kicking around when I was a wee lad. Alex: I want to read something that makes me feel like I'm living through "Snow Crash." David: Well then you are in luck, because our next book is all about the nitty gritty of hackers. David: Little Brother by Cory Doctorow is a young adult novel about Hacker Kids that decide to do high-tech civil disobedience against the department of homeland security after they're detained on suspicion of terrorism for playing an ARG in the wrong place at the wrong time. I don't want to get into much more detail than that but Doctorow's characters go into tons of detail about the cryptography and tech behind what they're doing and it's all shockingly not boring. David: The best part is that, like all of his books, Doctorow released Little Brother using a creative commons license and it's available for free on his site. Alex: I'll do some digging, but this sounds awesome. David: Okay so you can download Little Brother from Doctorow's site here. We're going to try a bit of a different format and have one big discussion of the whole book in a month so we'll meet you all back here in 4 weeks for a discussion of the whole of Little Brother. Alex: Right! And if you can't bear to wait a whole month, you can keep in touch about your favorite geek reads by following us on Twitter or leaving a comment on the blog. If you have any suggestions on books you'd like to see us tackle, drop us a line at geektips@pcworld.com.